In Hong Kong, all civil engineering projects require land surveying support to collect and analyze topographic data for planning, design, construction and maintenance purposes. 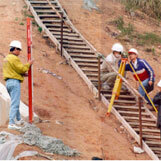 Land surveyors are actively involved in the construction of roads, bridges, seawalls, railways and tunnels. 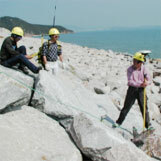 - Settlement and structural monitoring of buildings, bridges, reservoirs, breakwaters, slopes and etc. With the advancement of the latest technologies, engineering survey has been made more challenging than the ever before. Land surveyors have been making good use of the technologies like GPS, photogrammetry 3D modelling computer animation and laser scanning to provide a more efficient service in both the design and construction stages. 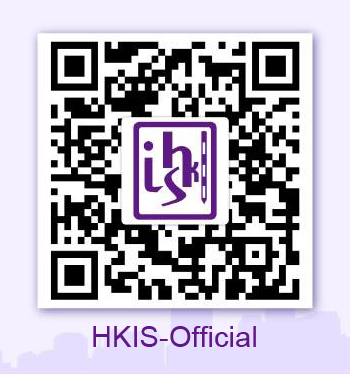 Land surveyors have indispensable duties to help the major infrastructure development in Hong Kong.